Courtesy of Secure Real Estate Group. This beautiful property in the Geist area is waiting for you! 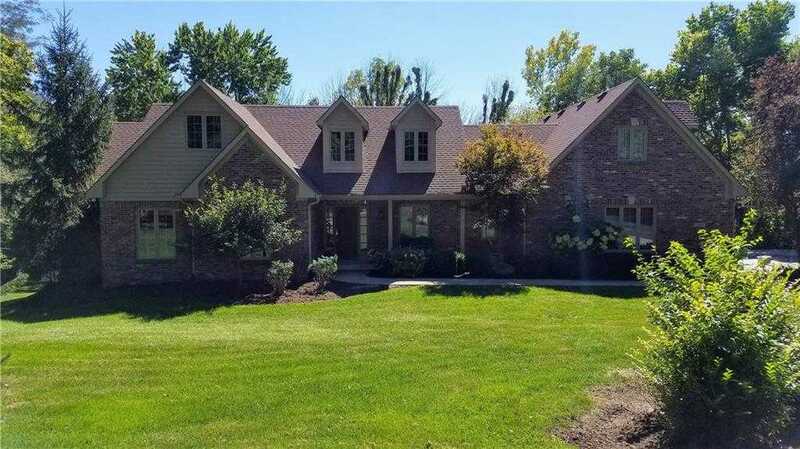 5 bedroom,4.5 bath home sits on a 1.6 ac wooded lot. This property has been completely remodeled in the last 2 years. Updates include; Fur/AC, granite counter tops in both kitchens and all baths, wonderful wood floors on the main level, all new interior paint and carpeting through out. Master suite on main level, laundry room you can only dream of, open floor living space with stunning views of the back yard. Over-sized deck with updated cable railing. Walk out finished basement with a superior entertainment space for those family/friend gatherings. Large 3.5 car garage with texture floors, plenty of storage through out. Private setting with everything near by, a truly must see! Please, send me more information on this property: MLS# 21598251 – $509,900 – 12473 East 86th Street, Indianapolis, IN 46236. I would like to schedule a private showing for this property: MLS# 21598251 – $509,900 – 12473 East 86th Street, Indianapolis, IN 46236.